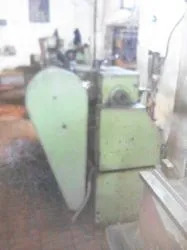 Since the inception in 1985, Bombay Hydraulic (india), the pioneering manufacturer, supplier and importer firm has been delivering sustainable completion by furnishing premier array of Injection Moulding Machines and Accessories. 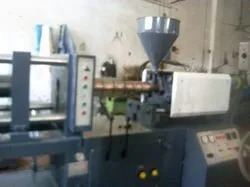 The code to our success lies in the wide gamut of highly demanded product range, which includes Insert Moulding Machine, Plastic Injection Moulding Machine and Used Plastic Injection Moulding Machines. Our line of products is far surpassing the required, as it is definitely built to provide our customers with a selected range of product portfolio serving benefits of higher ductility, precision engineered design, resistance to corrosion and abrasion. Besides, our quality approved products present us a substantial base of satisfied clients from all across the nation that lengthens our brand image. We aim to give exceptional performance and outstanding levels of customer satisfaction by providing them with an innovative and contemporaries series of products. Thereby, to obtain the bottom line results we work in a focused atmosphere, where we make the best out of our people. Owing to the collaboration and management abilities of our specialists, we are able to develop a technology driven manufacturing base for producing finest grade products for our customers from automobile, railways, engineering, heavy machine, and manufacturing industries. Mr. Rajan Thapar, the owner of our company, and aside from being a prominent leader, he is currently working as a guided pathway to make each part in our company a star player. His precious technical knowledge prompts us to succeed the productivity barriers and deliver forward an example of the responsible brand entity the with developed market footprint. Our entire scope of quality agreement enlarging from drill of the procured raw material, determined audits examinations during the generation stage and quality reviews of the products. Our quality control staff are exceptionally professional and work with full attention to assure that each of the equipment is error free and enhanced with approval to the rules of safety and quality. Our team members are the vital asset to the company. Their different cultural and academic experience in combination to the different possibilities qualifies us to realize the strength of diversity and innovation. Our team comprises of highly encountered professionals including product designers, manufacturing experts, price analysts, quality check executives, skilled workforce and highly qualified sales and marketing personnel. 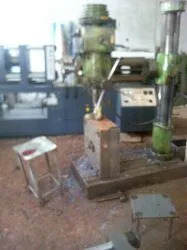 We are engaged in manufacturing various type of plastic injection molding machines. We hold the best in class infrastructure and operational amenities. With a proven path record of assisting the enhanced requirements for our excellent pieces of equipment, we are managing our assets by modernizing our infrastructural setup. Reaching across a broad area, our work context is completely furnished with superior technology and high-speed machinery at the production division supporting us the competency to work concurrently on the state of art generation, testing and shipping capabilities. With a passion for excellence and innovation, we manufacture and supplier an exclusive range of plastic injection moulding machines that have helped us set a benchmark for us in various international market. Our injection moulding machines are widely used by various industries and are high-power, durable & are also known for their high productivity standards. Our infrastructure possesses a modern state-of-the-art-technology and high-tech machines that ensures high efficiency and precision engineered hydraulic machines. Our machines are designed with sophisticated technologies and latest tools. 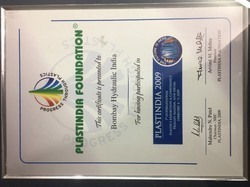 Most of the components used are standardized, hence available world-wide. Along with sophisticated technology, we are manned by a diligent team of highly experienced & hard working engineers and technicians. With our industry knowledge, we are able to manufacture fault free machines. 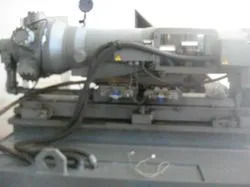 Our company specializes in manufacturing precision plastic injection moulding machines, which are economical,power saving, durable & have high efficiency. We ensure that every machine is designed & developed as per specifications laid by our esteemed client. Our company endeavors to also provide customized packaging solutions for every machine. With our in-depth knowledge of hydraulic operations, we have streamlined our activities, resulting in faster delivery of machines at competitive price. We promote an environment which is advantageous in permitting us to provide the unique variety of Injection Moulding Machines & Parts. Our vibrant production expertise allowed us to follow the evolving market trends with the ability and produce the ideal product range with mastery. We spend an extensive amount in research and analysis, which exhibits our objective of strengthening the brand image. Moreover, our alliance with the industry authorized vendors for raw materials and logistics services profits us to serve as the most reliable business entity.